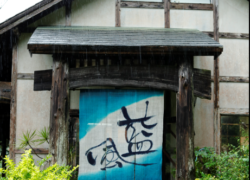 The Ryukyu indigo plant has long been produced in the Izumi area of Motobu Town in northern Okinawa. 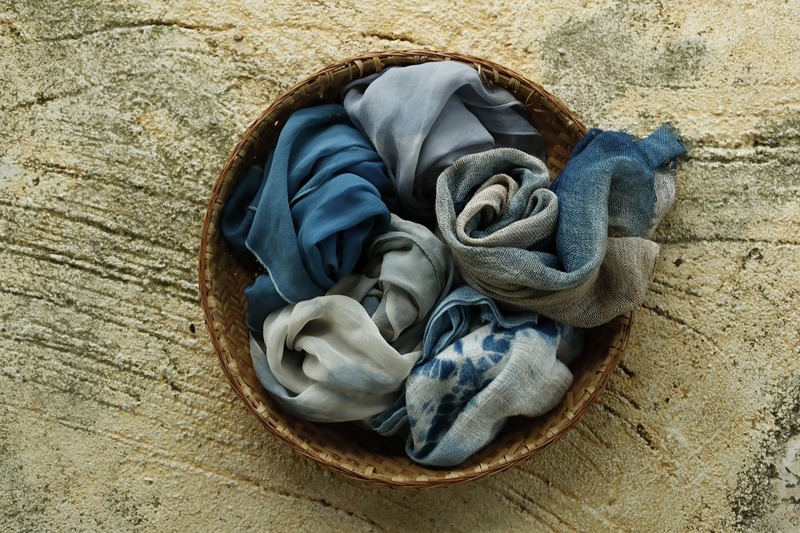 The distinctly colored textile dyed with this plant has been popular with locals since the Ryukyu Kingdom era. 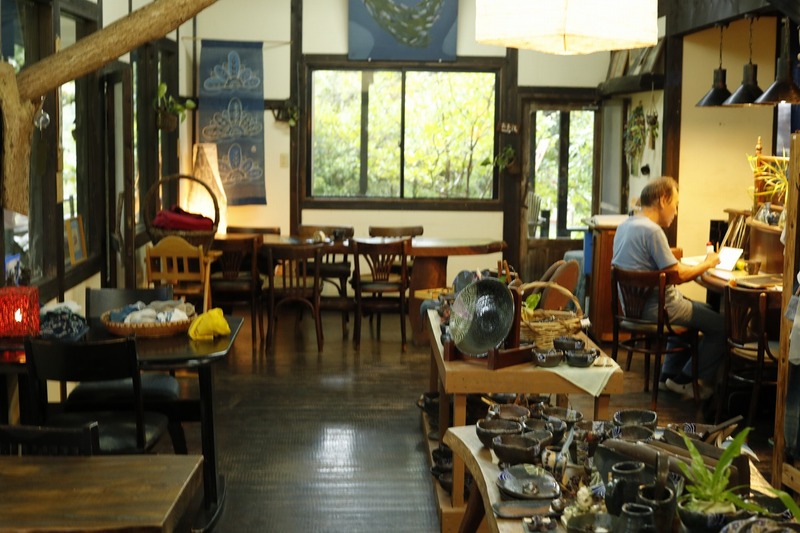 At Aikaze, a studio and café run by Masanao Shiroma, an indigo textile artist, a wide variety of Ryukyu indigo products ranging from wall hangings to clothing as well as Izumi yaki, pottery colored with Ryukyu indigo, is available. 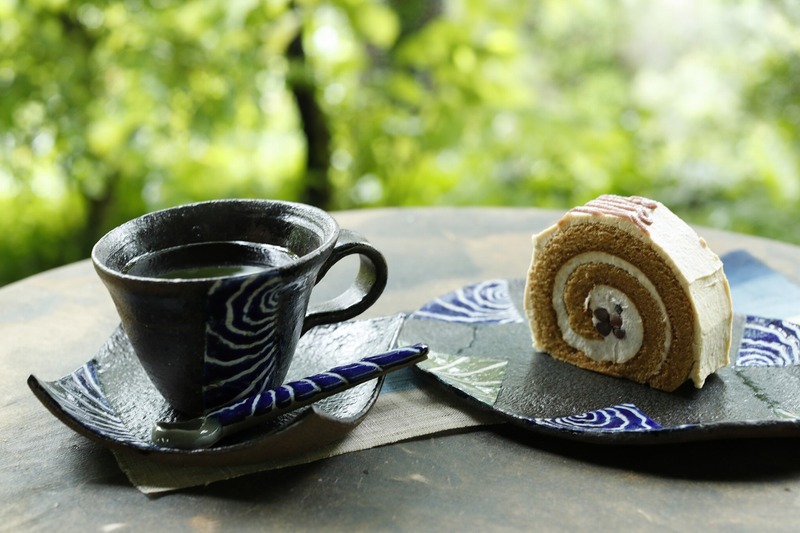 Aikaze also has a large selection of pottery tinted with indigo reused from textile dyeing.